Although there are three Maui airports, you probably only care about the Kahului airport. 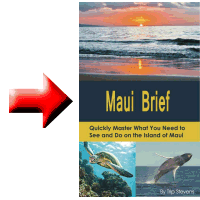 Kahului : This is the biggest airport on Maui and the one that you will most likely fly into. It is the second busiest airport in Hawaii occupying 1391 acres of land. It is the only airport you can fly into from the mainland. The OGG airport code come from the name Bertam Hogg who was started passenger flights between the Hawaiian islands. Contact the Kahului airport at (808) 872-3830. Kapalua : Despite the name of Kapalua, this airport is south of Kapalua by about 5 miles. 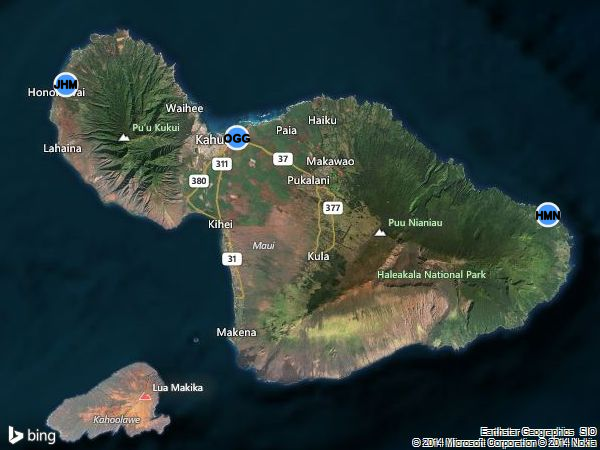 It sits about 6 miles north of Lahaina and has a Lahaina address. This smaller airport has only one runway and is used by commercial propeller air carriers and commuter aircraft only. The JHM airport code comes from John Henry Magoon, the former president of Hawaiian airlines. Contact the Kapalua airport at (808) 665-6108. Hana : This is another single runway airport on Maui. It sits on a 119 acre site and is used for the smaller, propeller planes. The airport code, HNM stands for Hana Maui. Contact the Hana airport at (808) 248-4861.